In recent polls, Martin O'Malley has registered 3 percent among Democrats, but he doesn't want you to count him out of the race just yet. In an effort to sway voters away from frontrunner Hillary Clinton, O'Malley's newest campaign video attacks Clinton for allegedly flip-flopping on gun control. Gun control is possibly the one issue where the former Maryland governor has more credibility than both Clinton and Bernie Sanders, so it's not surprising that his campaign would want to drive the message home in a video ad. At the same time, if Clinton chooses to respond, her angle also shouldn't be surprising. O'Malley's video, released Tuesday on his campaign's YouTube channel, starts with a harrowing statistic. On average, guns kill 88 to 92 Americans a day. From there, the video compares separate footage of Republican candidate Jeb Bush and Clinton opposing gun control. In the footage of Bush, he says, "The federal government shouldn't be involved in gun laws." Then, in the footage of Clinton, she says, "For the federal government to be having any kind of blanket rules ... I think doesn't make sense." Toward the end of the short video, footage shows O'Malley saying, "A single life in America is worth more than all the guns in the United States." The footage of O'Malley appears to be from 2015. O'Malley has emphasized gun control since the very start of his campaign, which makes sense given his experience with the issue. In 2013, as governor of Maryland, O'Malley signed the Firearm Safety Act into state law. The law included regulations for fingerprinting, licensing, and training for gun owners, as well as a ban on 45 kinds of assault rifles and magazines that carry more than 10 rounds. 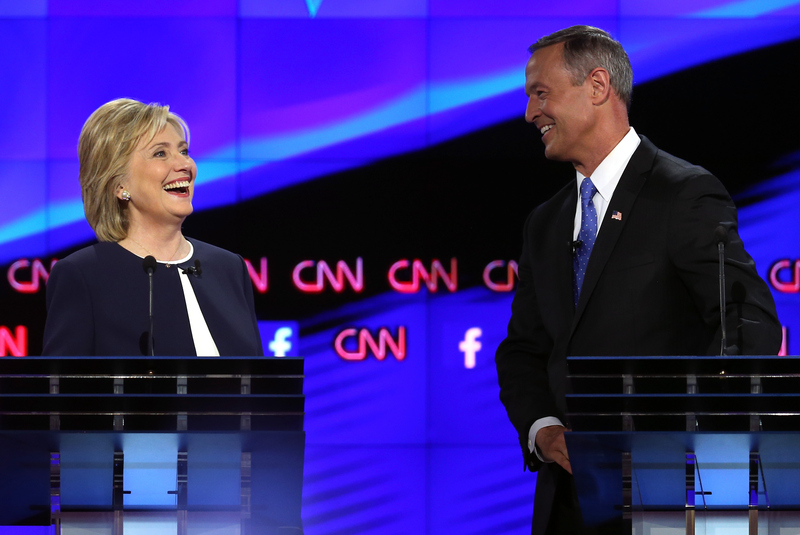 O'Malley's new video is short, sweet, and to the point, but it probably won't trap Clinton by her past. In many ways, Clinton has evolved into more of a liberal in recent years, a point which she has reinforced throughout her campaign, particularly as it relates to gay marriage and abortion. In 2003, for example, Clinton made it sound like she didn't support gay marriage because, as she said, "marriage has a meaning that I think should be kept as it historically has been." When she received backlash during her current campaign for statements like that, she blamed it on the evolution of her beliefs and her mindset. If she's looking for a way to similarly deflect gun control comments, she could easily use the "I've evolved" excuse another time.